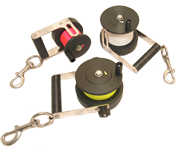 PLBs, with their compact dimensions, should be an integral part of safety equipment during a dive. 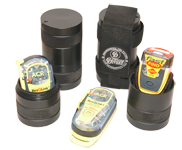 Most PLBs alone are only waterproof to 10 metres but may be carried to greater depths protected in the Custom Divers Dive Canister. Depth rated to 180 metres, the precision machined canisters are manufactured from high grade PVC and firmly sealed with two O-ring seals. 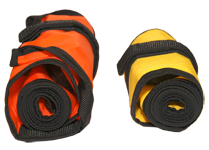 The PLB, with lanyard and flotation pouch, fits securely inside the canister offering utmost protection for your system. 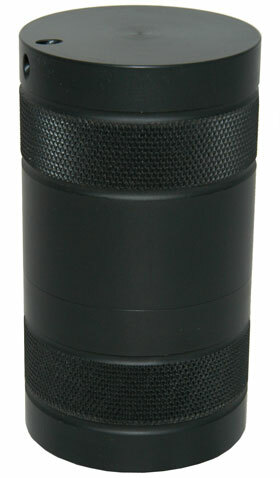 The canister, with your PLB safely inside, is also buoyant in water. 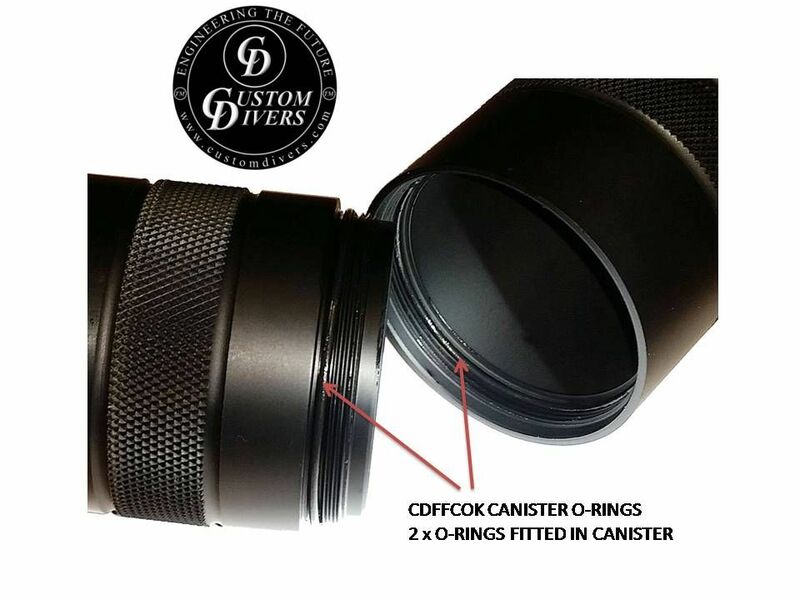 The Custom Divers Dive Canister is also supplied with a quick fit belt mount which will allow horizontal or vertical mount for flexible and comfort fit. 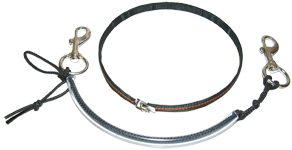 Designed to be fastened to standard belts up to 50mm. Webbing loops are positioned on the rear so belts may be threaded through for a permanent fix. 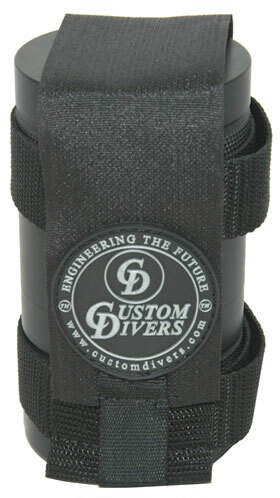 The Custom Divers Dive canister can be mounted and removed easily via the Velcro overlapping securing strap. The PLBs shown is for illustration purposes and is not included. Will fit ResQlink & ResQlink+, Fast Find 200/210/220 and RescueME PLB1.